This is a very ancient breed that has been around since the 15th century. 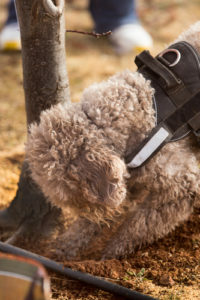 The Lagotto Romagnolo is the foundation dog to all water dogs such as Poodles, Portuguese Water Dogs, golden retrievers, Labradors, Nova Scotia Duck Tolling retrievers to name but a few. The Lagotto originated in Italy in the Romagna province where it was first used to hunt water fowl hence the name “Lagotto Romagnolo”. In Italian Lago mean lake which fits with the water dog aspect and the second word is thought to be a derivative from the province name. It was then in the 19th century when the lake waters were drained and the birds left the area that the breed nearly became extinct. As you know Italy is famous for its white truffles and it was the truffle hunters who found that the Lagotto was perfect at finding them. So it was these truffle hunters who bought the breed back from the brink of extinction. Lagottos, as well as having an excellent sense of smell also like to dig and this make them ideal for hunting truffle. 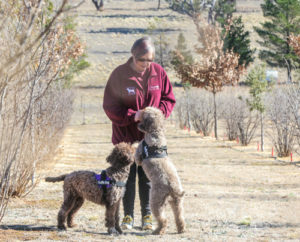 The Lagotto can live up to 17 years and is a powerfully built medium sized dog capable of working in difficult and challenging terrain. They weigh up to 17 kilogram and range in height from 41cm to 48cm. The Lagotto Romagnolo is a relatively rare breed and the table below gives a rough guide to numbers by comparing another popular breed of dog. The Macenmist truffiere is lucky to own two Lagottos who are trained to seek out ripe truffle. Born 14 March 2011, Fahren is our foundation truffle-dog and she travels widely to help find truffle for plantation owners who do not own a truffle-dog. Fahren was born in Australia from French and Italian parents and is an Australian Champion. Our second truffle dog, Tawdiffu, has no trouble finding truffle. She’s quick and keeps us on our toes during the hunt as she’s still young – she was born 13 June 2015. 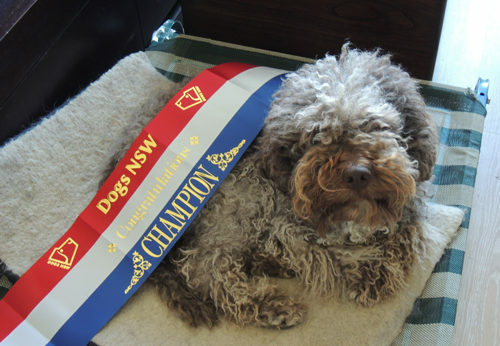 Tawdy is a first generation Lagotto and also an Australian Champion. Both dogs work well together and individually via to find the truffle to reap the food rewards. Like any trained animal the one who has been doing the work the longest is usually the best. What this means is that the older dog Fahren is usually able to work longer hours with less breaks, but eventually as they both get older the ages assimilate and their working times equalise. Then at the other end of spectrum as a dog ages so does its ability wane. Hence we would retire the old and elevate the next in line. 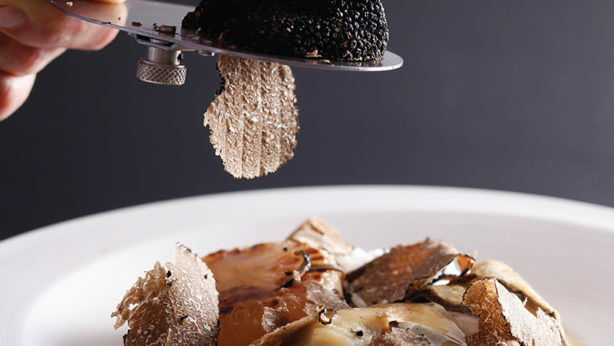 Generally speaking training a truffle dog takes approximately two years. Their training starts the moment that they arrive on the farm at 8 weeks of age. They are introduced to the truffle smell. If it is winter we use the real macoy or if it is out of season we commence them on thawed frozen truffle. They are trained similar to detector dogs and their training can be likened to dogs used at airports for drug detection work. Interestingly all dogs work at a different pace and it is up to the handler to be aware of the dogs idiosyncrasies and what works for each individual animal. Want to see Fahren and Tawdiffu in action? If you want to come and see the Macenmist Champion Lagotto Romagnolos at work, visit the truffle hunt page and pick a hunt, any hunt!